As noted in an earlier post I purchased Susie Burrell‘s book ‘Loosing the last 5kg‘ which contains a number of great easy and healthy recipes as well as nutrition and fitness tips. 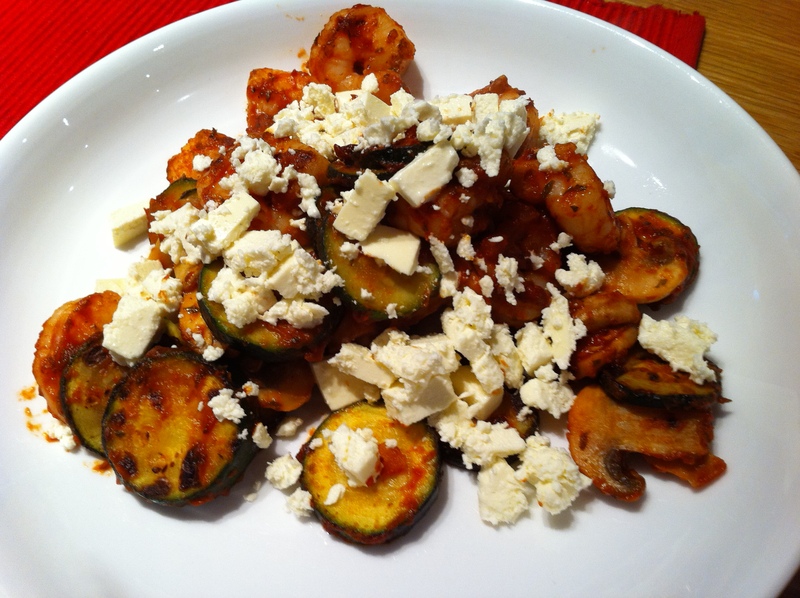 I was looking for an easy healthy recipe to cook for dinner the other night and decided on Susie’s recipe ‘prawns and zucchini.’ The reason I decided on this recipe was that it didn’t have too many ingredients and I already had one of them (fetta). The end result is very tasty and satisfying! Stir in the mushrooms and pasta sauce and simmer until heated through, for about 3-5 minutes. What is your favourite healthy and easy meal?